This might be slightly ir-relievent but what is the download limit on MegaUpload, They only put low/med/high dependent on your account, they do not put any definite figures. Anyone know what these figures are? 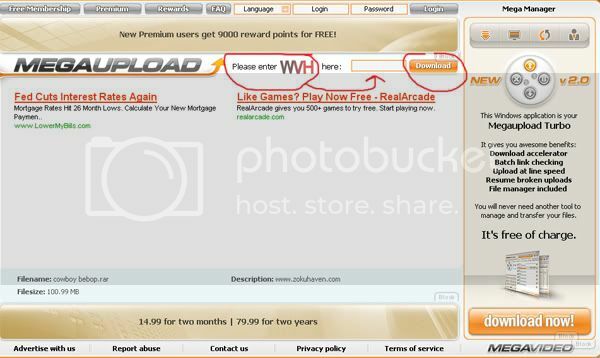 I think for free accounts it is something like one download every 45 minutes. Nope, I can generally download a max of at least 3 anime episodes or so every hour. Though it does strongly depend on what format the episodes are in. I don't know the exact numbers, that's just a rough estimate. well yeh mind showing how many MB is able for free accounts? so max mb for free downloads is? give me the link ok?